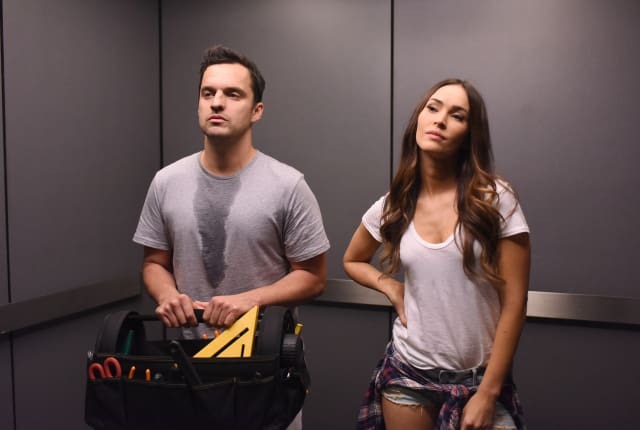 On New Girl Season 5 Episode 9, Nick and Reagan compete over who can get the loft the best air conditioning unit and Nick admits his feelings to Reagan. When you watch New Girl Season 5 Episode 9 you'll see how far someone will go to prove they have the best idea. Nick is determined to use his new invention to bring cool air into the loft, but Reagan one upps him by bringing in an air conditioner. Nick gets jealous over Reagan coming up with a better idea and refuses her invitiation to his room so he can stay cool. Reagan starts to get worried about Nick when he starts to show symptoms of heat stroke and tries to convince him to come into her room to cool down, but he refuses. The two of them begin to fight and decide to mess with the power in the loft which only results in them shorting the fuse and turning the power completely off. The friends send them down to the basement to fix their mess, but Nick only makes things worse when he tries to fix things and only ends up turning the power off in the entire building forcing everyone to leave their apartments. Outside Reagan finally gets Nick to admit his feelings, but while he rambles on about not being good enough for her she starts to kiss him. Want to see what else happens? Go watch New Girl online now via TV Fanatic. On New Girl Season 5 Episode 9, Nick and Reagan compete over who can get the loft the best air conditioning unit and Nick admits his feelings.